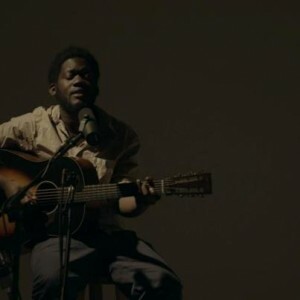 Because it feels good to simply have an artist to simply be able to take us somewhere with only a guitar and a voice, the recording of the track Lasan by Michael Kiwanua for Nowness feels like a moment of calm. I talked about him about a month ago, and I listened to the album enough for my roomates to give me the eyeball everytime it’s on. But whatever, I do not get tired of the styles mixed together like they never have been. Do not listen to most of the critics, they are not listening to the music, only the voice forgetting Michael Kiwanua is not coming to propose some reinterpretation of the soul era, but has mixed in the finest way, a folk background where you could hear the warmth of Simon and Garfunkel and the strangeness of a Dennis Wilson more than any black soul singer or group. Anyhow, let’s get back to this moment of peace that Nowness once again was able to beautifully produce.If you are intersted the album can be found on Itunes.